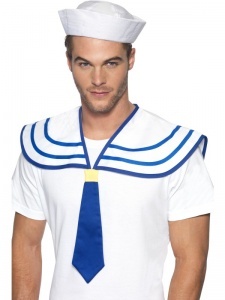 Includes: Men's Famous Sailor Costume, Muscle Shirt, Pants, Belt and Hat. 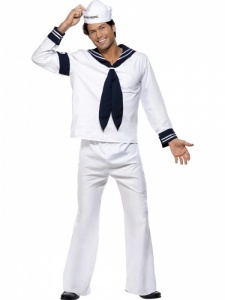 Includes: Mens Sailor Costume, Top, Hat and Trousers. 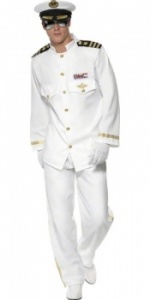 Includes: White, with Jacket, Trousers, Cap and Gloves. 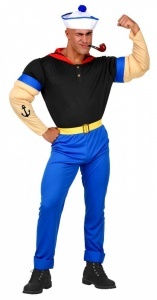 Includes: Jacket, Trousers, Cap and Gloves. 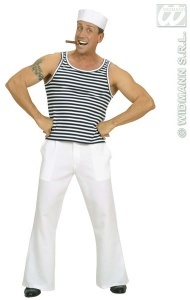 Great Stag, Festival or Carnival Costume. 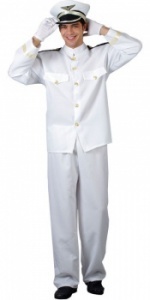 Includes: Mens Captain Costume White, Top, Trousers and Hat. 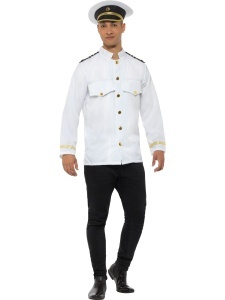 Includes: Jacket, Trousers & Hat.